Caroline Capuzzi is pleased to announce the third round of dog rescue donations from her book, Dog Joy. Each of these organizations is featured in the book. Austin Pets Alive in Austin, TX and featured in chapter 24, “Bobby-Prince and the Morning Miracle” by Frank Zuniga. 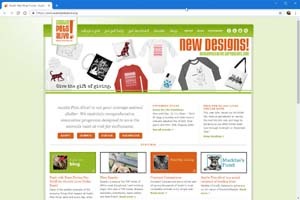 Learn more by visiting www.AustinPetsAlive.org. Don’t Bully Us! in Philadelphia, PA and featured in chapter 9, “Every Little Girl Needs a Dog Best Friend” by Amanda White. 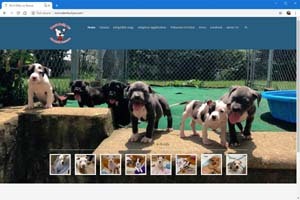 Learn more by visiting www.DontBullyUs.com. 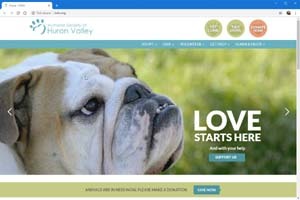 Huron Valley Humane Society in Ann Arbor, MI and featured in chapter 26, “The Most Unexpected Best Friends” by Nina Drumsta. Learn more by visiting www.HSHV.org. 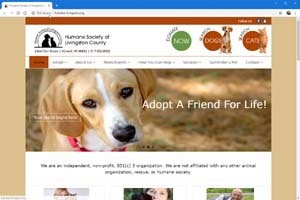 Livingston County Humane Society in Howell, MI and featured in chapter 26, “The Most Unexpected Best Friends” by Nina Drumsta. Learn more by visiting www.Humane-Livingston.org. Best Friends Animal Society in Kanab, UT and featured in chapter 13, “When They Say, “Who Rescued Who?” They’re Not Kidding” by Jase Souder. Learn more by visiting www.BestFriends.org. 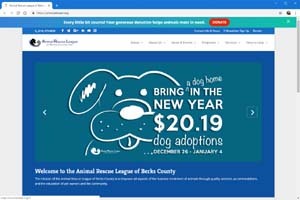 Animal Rescue League of Berks County in Birdsboro, PA and featured in chapter 16, “Everyone Deserves at Least One Great Dog” by Jeff Giagnocavo. Learn more by visiting www.BerksARL.org.